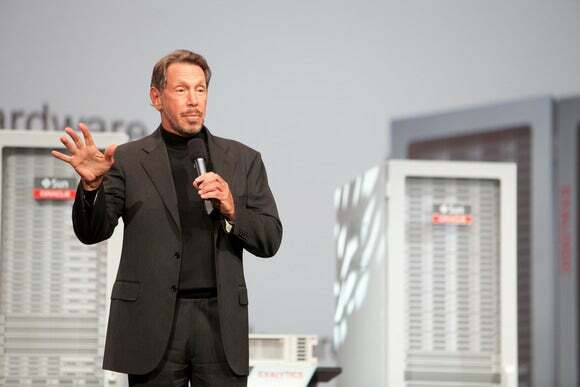 Larry Ellison and Marc Benioff’s long-running public feud appears to be over, with the CEOs of Oracle and Salesforce.com making a joint appearance Thursday to extol the virtues of a new partnership they describe as financially sensible and strategically pragmatic. Ellison, who once called Salesforce.com’s platform a “roach motel” that is difficult for customers to migrate away from, had no such jibes on Thursday. “Salesforce.com and Oracle have some overlapping products, but there are far more opportunities to work together than to compete,” he said. While there had been evidence of late that Salesforce.com wanted to move away from Oracle technology, that doesn’t seem to be the case anymore. While it has never been clear how much of Benioff and Ellison’s feuding has been marketing-savvy theater rather than true animosity, the two CEOs treated each other with uncharacteristic warmth during the call. Oracle has acquired companies that use Salesforce.com and plans to leave some of those implementations in place in order to act as an “early adopter” for the planned integration, Ellison said. Left unanswered was when these packaged integrations will be available, as well as what the companies’ new working relationship will mean for the positioning of Oracle’s own CRM products. In the past, Ellison has said many Salesforce.com customers “chucked” out the software in favor of Oracle’s CRM, but he offered no competitive updates on Thursday. The Salesforce.com deal comes the same week Oracle announced a partnership with Microsoft that will see Oracle technology, including the Java programming language, play a more prominent role in Microsoft’s Azure cloud service. Ellison and Benioff indicated that their companies will seek to work on Java-related projects, but made no specific announcements. “I’m sure both Marc and I are going to try to continue to be entertaining, while making sure the entertainment never distracts from our commitment to work together,” Ellison said. Benioff even invited Ellison to Salesforce.com’s upcoming Dreamforce event during the call, a gracious gesture in light of Oracle’s cancellation of a planned Benioff keynote during its 2011 OpenWorld conference. “I would love to be there,” Ellison said of Dreamforce.